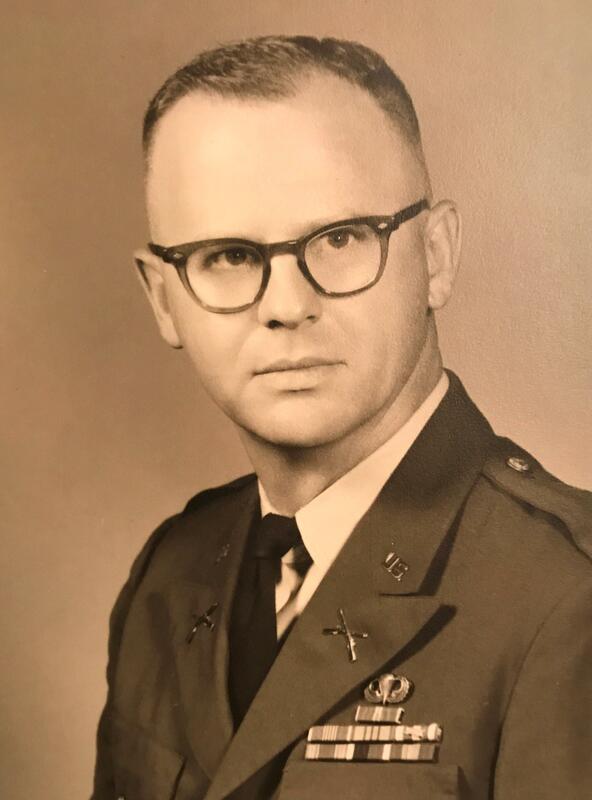 Lt. Col. Allan A. Buergin, U.S. Army, retired, 90, of Eatontown, NJ, passed away peacefully on Tuesday, September 4, 2018 in The Lutheran Home at Topton, Topton, PA, where he was a resident since February. He was the loving husband of Christa E. (Arnold) Buergin, whom he married on March 8, 1952. Born in Madison, Wisconsin, Allan was a son of the late George and Zelma (Burmeister) Buergin. Following his high school graduation, Allan enlisted in The United States Army in 1946. In 1948 he entered the ROTC program at the University of Wisconsin-Madison, where he received his Bachelor degree in Landscape Design. After graduation, he continued his career in the army, where he served for 23 years; including service during the Korean War and Vietnam War, attaining the rank of Lieutenant Colonel. After his retirement in 1970, Allan worked as a Claims Adjuster for Allstate Insurance Co., and as a Real Estate Broker. He was a member of Lutheran Church of the Reformation in West Long Branch, NJ. Allan was an active volunteer and was extremely artistic. He enjoyed making pottery. In addition to his wife of 66 years, Christa, Allan is survived by his three children, Curtis A. Buergin, and his wife, Joanna, Spring Mills, PA, Cynthia L. (Buergin) Nash, and her husband, Clifford, Kempton, PA, and Kenneth G. Buergin, Aberdeen, MD; and two grandchildren, Elise C. Nash and Daniel L. Nash. In addition to his parents, Allan was predeceased by a sister, Geraldine (Buergin) Norris and a brother, Rodney Buergin. A funeral service to celebrate Allan's life will be held on Saturday, September 8, 2018 at 2:00 p.m. in Lutheran Church of the Reformation, 992 Broadway, West Long Branch, NJ, with Reverend Matthew Cimorelli. officiating. Military honors will follow the service in the church. Relatives and friends are invited to a viewing on Saturday before the ceremony from 1:00 p.m. to 2:00 p.m. in the church. Burial will be private. The family requests contributions be made in Allan's memory to Alzheimer’s Assn. of New Jersey, 425 Eagle Rock Avenue, #203, Roseland, NJ 07068 or Lutheran Church of the Reformation, 992 Broadway, West Long Branch, NJ 07764. Ludwick Funeral Homes, Inc., Kutztown, PA, is in charge of arrangements. Memories and condolences may be shared at www.Ludwickfh.com. Please share your memories of Allan.